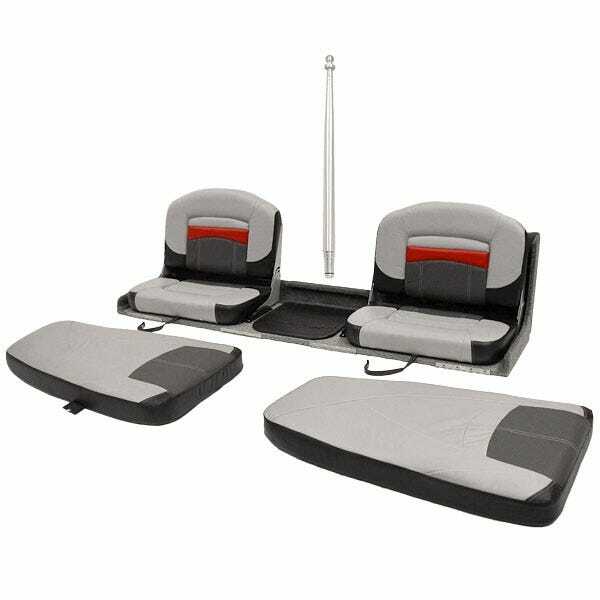 Looking for discount boat bench seats and discount boat jump seats? Look no further! Great Lakes Skipper has the marine jump seats, boat bench seats, and boat seat sets at discount prices you'll love. We have boat seats made by Springfield Marine, Tracker, Larson, Wise Marine Seats, Glastron, and other marine manufacturers you know and trust. Shop our site and save big on quality marine jump seats and boat bench seats at Great Lakes Skipper. G3 Boat Folding Bench Seat 73522241 | Tempress 54468 Gray Black 60"